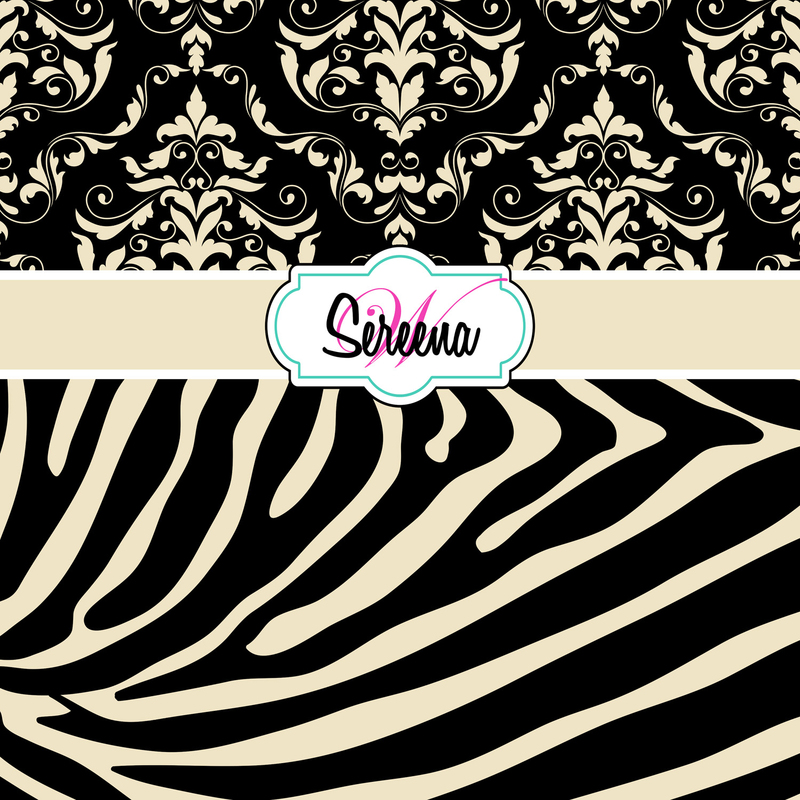 Animal Print Girls Duvet Cover with Black and Tan Damask. You go to love the color combination on this Zebra Print and Damask Comforter. It has just a small touch of Pink and Teal in the Personalization otherwise it remains neutral in it’s Vintage Cream and Black.